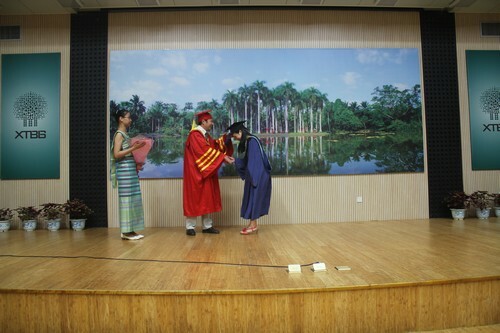 Graduation celebration is an annual event held for graduate students in XTBG. The graduation celebration 2013 fell on June 8, with gathering of students and their supervisors to celebrate their academic achievement, to honor their hard work and dedication. 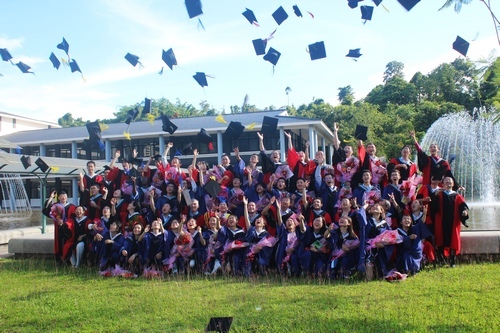 In the morning, 46 postgraduate students in their gowns of master degree or doctoral degree planted a tree of Pouteria grandiflora for memory in front of the students’ apartment. 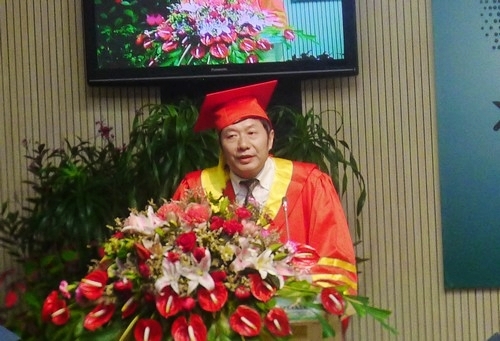 The graduation ceremony and degree awarding was held in the afternoon, presided over by Prof. Zhou Zhekun. All students and supervisors gathered together to celebrate the “big day” of the graduating students. The living and studying in XTBG is a very important period for students and teachers as well. “What has XTBG provided with the graduate students” was the question asked by Dr. Chen Jin in his speech at the graduation ceremony. He said that the special living environment on this remote island makes students to get on well with each other; the rich biodiversity provides students with enough research targets; XTBG pays attention to management of education processes and capacity building of students. Meanwhile, XTBG is trying to create atmosphere of academic exchanges, students may get opportunities to communicate with well-known scientists or study with students from many countries. Above all, the XTBG's spirit which is recognized as “responsibility, reality, sincerity and harmony” exerts an edifying influence on the students. Other leaders and teacher representatives also conveyed congratulations and best wishes for the graduates and their family. A graduate representative spoke out their heartfelt gratitude to their advisors.